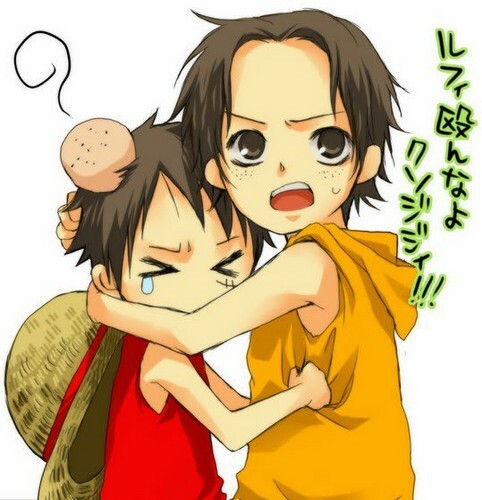 Luffy and Ace. . Wallpaper and background images in the One Piece club tagged: one piece anime pirates straw hats luffy monkey d portgas ace. This One Piece fan art contains ڈاؤن لوڈ ہونے والے, مزاحیہ کتاب, منگا, کارٹون, ہالی ووڈ, and کامک بُک.